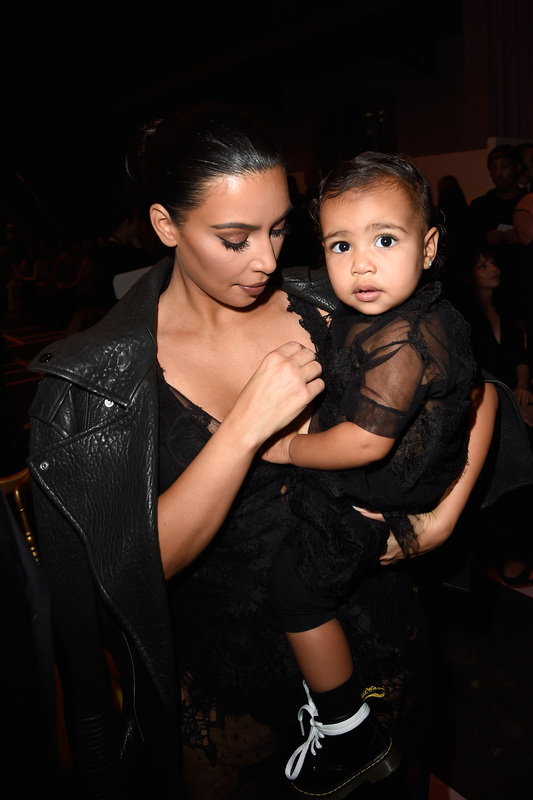 As she approaches her second birthday, North West is already cooler than I will ever be. Alexander Wang has never made me a custom outfit to match his latest collection, CR Fashion Book has yet to call me up to take my portrait, and I don't even own a Chanel handbag, let alone a mini one (the shame)! But to be fair, I was also not birthed to two of the most famous human beings in existence. However, after seeing the latest pictures of North West and her caretaker, Kim Kardashian, walking through Charles de Gaulle airport in Paris, my fervent hopes to achieve a modicum of that Kardashian-West swagger have been revived. For, you see, I finally have definitive proof that the toddler is a mere mortal — North West has a Frozen suitcase, just like every other 2-year-old (and probably many adults) on the planet. After a whirlwind New York Fashion Week, predominately spent crying at various fashion shows, North has had a relatively low key trip to Paris, eschewing the front row in favor of playing with solid gold building blocks, I presume. But as the infant celeb departed the City of Lights, North was allowed to make the decidedly off-brand move of pulling her own rolling suitcase. If that's not enough to shock you, wait until you catch a glimpse of this girl's luggage game. Surely, one would think, the only type of luggage fit to weigh down little Nori's hands would be the latest Louis Vuitton trunks from the Fall 2015 collection. But oh, how wrong you are. That's right, North West's luggage of choice is none other than this glittered-out Frozen carry-on! This is seriously the first time North has even been spotted anywhere near something that could be called age-appropriate. Even so, paired with her baby chic, all-black airport ensemble, the bag still looks kind of amazing even for a grown-up in a high-meets-low kind of way. All these pictures really prove is that even when West is actually allowed to act her age, she's still setting trends for us basics in every other generation. But just because North let her inner child slip out this once, don't think her daily apparel doesn't consistently put yours to shame. Here's a few of her best sartorial moments just in case you thought for a second the West scion might be slipping.